Some babies love the comfort of a good firm swaddle, other babies like to be wild and free. 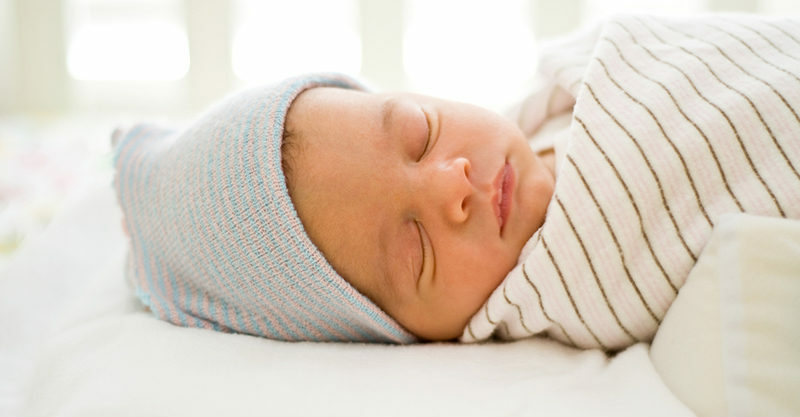 If swaddling is something you are planning to do with your baby, here are some of the basics to know about swaddling, and whether it might work for you. Swaddling is a bit of an art, and kind of like human origami, but once you master the technique, it can be a really effective way to wrap your baby for warmth and security. It’s been used for centuries, across many cultures, and is thought to recreate the snugness of being in the womb. So yes, done properly, the swaddle can definitely help calm young babies. It’s also a good way to suppress the newborn startle reflex – that mysterious occurrence where babies throw out their arms and get extremely unsettled because they feel like they’re falling. Swaddling the arms seems to inhibit this reflex. Nope. It’s up to you if you want to swaddle. No doubt, you’ll get a little lesson in swaddling at the hospital, but it can take some time to get the fold, fold, roll, tuck action down pat. And even when you do get the hang of it, you might find your baby becomes very good at breaking free of her wrap. Try it out, see if it works for you. And if your baby is constantly getting out of her wrap, you could try one of those nifty little one-piece, zip up wraps, like the ergoPouch Swaddle to Sleep bag. Alternatively, you could simply wrap your little one’s body and allow her hands to stay free for a bit of thumb sucking and self-settling. Make sure baby sleeps on her back and that you follow all the safe sleeping guidelines for babies. You’ll also want to ensure the swaddle doesn’t get so loose that it could potentially cover your baby’s face and restrict her breathing. While swaddling is all about snugness, just make sure it isn’t too tight around your baby’s chest. The idea is to create a snug wrap, where you can easily fit a couple of fingers between the wrap and your baby’s chest. Don’t let your baby overheat in her wrap. Choose a lightweight muslin in summer, and keep the room at a moderate temperature. Improper swaddling can damage your baby’s hip sockets and lead to hip dysplasia, so just be sure you allow enough room for your baby to bend her legs up and out, with knees slightly splayed and hips flexed. How do I wrap my baby? Lay a wrap down on a flat surface, in a diamond shape. Fold the top corner down approx 15 centimetres. Put your baby on her back, with her shoulders positioned level with the fold. Hold your baby’s right arm down to her side, slightly bent. Take the same side of the swaddle, and pull it over your baby’s body. Tuck the swaddle under baby’s body, leaving left arm free. Fold up the bottom of the swaddle, and tuck into the top. Hold your baby’s left arm down to the side, slightly bent, then take the remaining swaddle and wrap it over your baby, tucking in the remaining fabric underneath your baby. Voila, snug as a bug. When you notice your baby’s moving around more and rolling over, you’ll need to rethink the swaddle. This could be a good time to give it up, or if you think it’s still necessary for your baby, increase your vigilance so she remains safe in her swaddle. Have you found swaddling helpful? Share your tips.